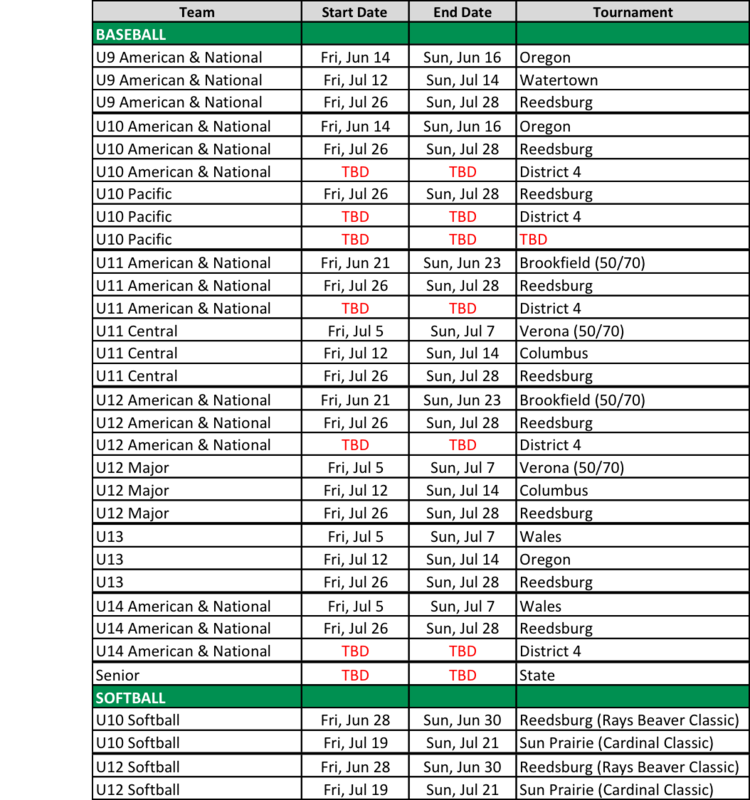 This page focuses on key spring/summer season dates only. 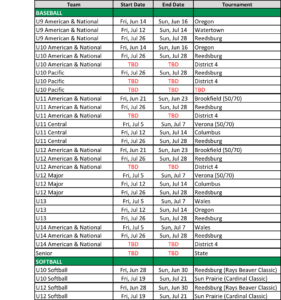 Please be sure to also check the listings for other types of events HERE or all events HERE. 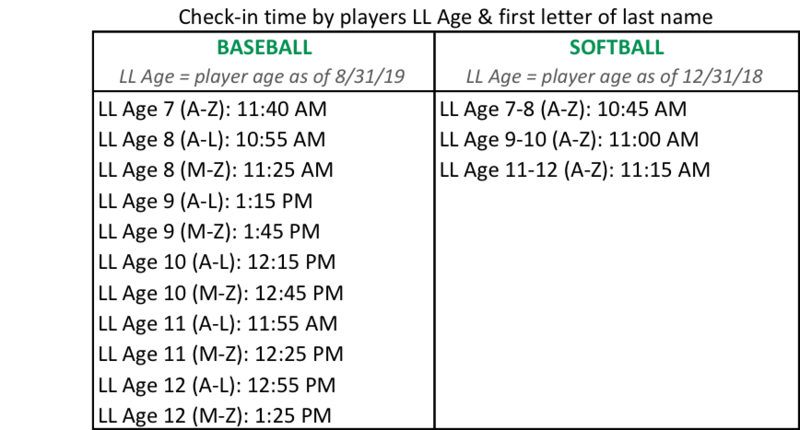 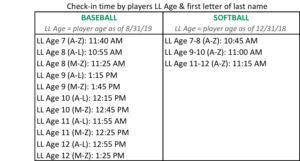 All baseball leagues, except the Senior League, utilize alternate weekend scheduling – typically playing games on both Saturday and Sunday during their “ON” weekends and on Friday and Monday bracketing their “OFF” weekend.